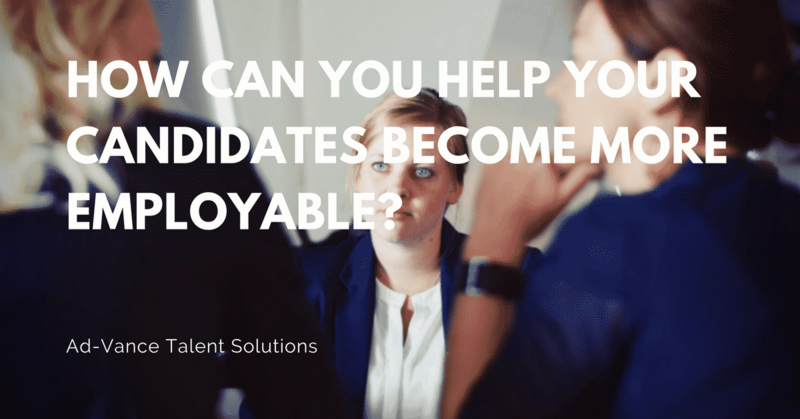 HomeBlogHow Can You Help Your Candidates Become More Employable? Every job recruiter knows that work placement is a two-way street. You need to match people to the right potential workplace… but they also need to put their best foot forward during the interview, orientation, and training process. There is a lot you can do to help your eager job candidates show off their talents, build their confidence up, and ace their interviews. Is the CV appealing and easy to read? Is the information in chronological order? Does it highlight, in concrete terms, what training and skills the candidate brings to the table? Has the CV been broken up into sections with bullet points? Did your client include achievements? A nervous job candidate can be their own obstacle to progress. They may forget information they knew, flub greetings, and in general not show the company the composed and highly productive people they are in day-to-day life. Nerves can strike any candidate, from new graduates to experienced people re-entering the job market after decades at a workplace. What can be done? On the candidate’s side, they can try to relax before an interview. Some ideas include meditating before an interview, getting a good night’s sleep, cutting back on caffeine, or getting a haircut and great new outfit. Now for what you can do: Try to meet with the candidate in person, or at least over the phone. You always want to give them honest feedback, but remember that an important part of that is to highlight their strengths as well as any areas that could use improvement. Boost their confidence by making sure they understand what unique strengths they bring to the table, both for experience and personality traits. Going in for a job interview can be a nerve-racking stumbling block for job candidates of all ages and experience levels. In this case, you can help your client with some interview coaching. Start by explaining what kind of interview they will be given and what information they need to bring to it. Give them advice on how to introduce themselves – a hurdle that many clients don’t think about ahead of time – and how to make a graceful exit when the interview is over. Remind them of their strengths and offer kind yet honest constructive feedback on what they need to work on. Ad-VANCE is one of the Gulf’s leading sources of workforce talent. For decades we have helped employers find the perfect job candidates in every field from healthcare to hospitality and more. If you’re looking to expand your network of talent, contact us today.